Each year, VG asks contributors and readers to nominate and choose inductees to its Hall of Fame. And each year, the magazine inducts two players, an innovator, and an instrument for inclusion. 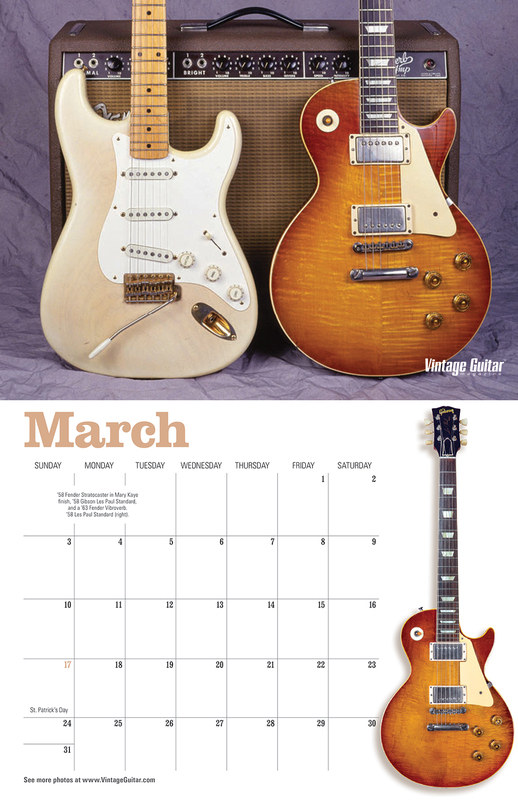 Hundreds of votes are tallied via the magazine’s traditional written ballot, while hundreds more vote at VintageGuitar.com. 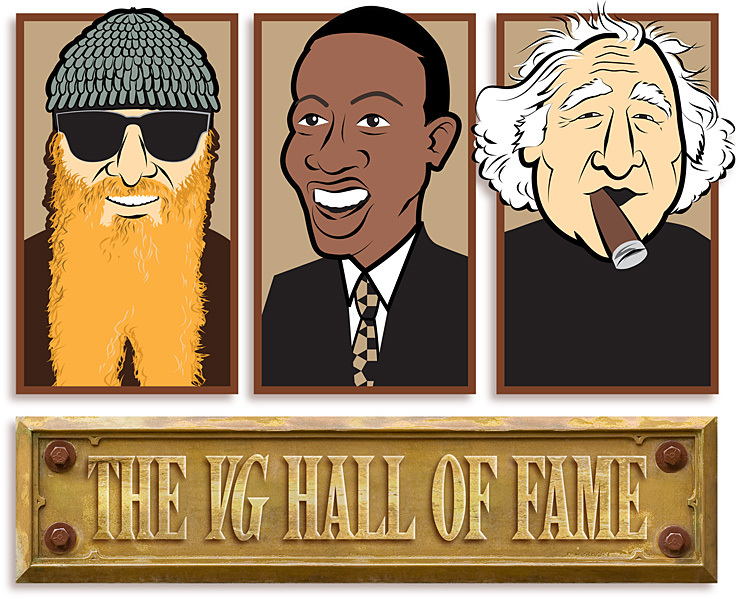 Here, we proudly present the 2012 inductees to the VG Hall of Fame. Those who appreciate the guitar and how it is played know the significance of Charlie Christian even if they’ve never heard a lick of his playing. Born in 1916, he is widely credited with moving the guitar beyond status as a rhythm instrument. 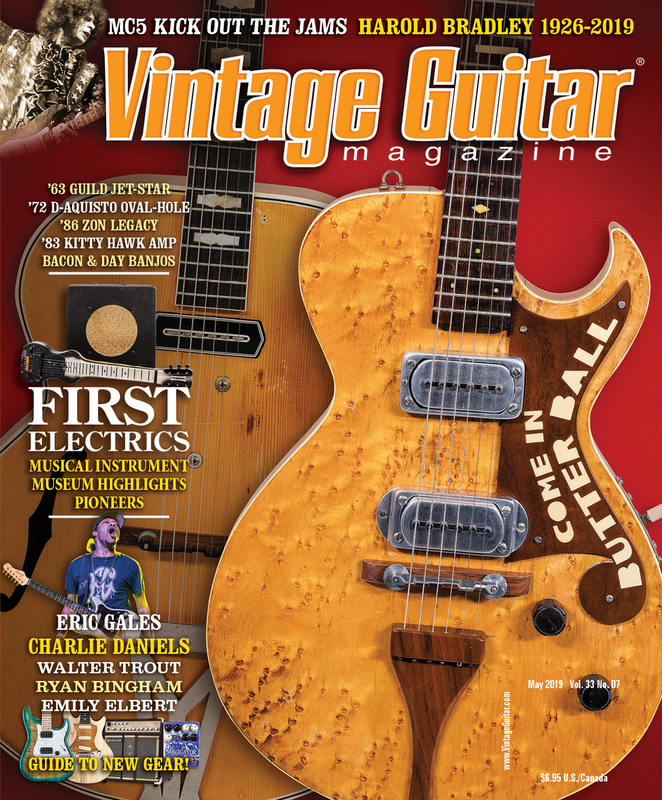 In the March, 2003, issue of VG, Peter Broadbent, author of Charlie Christian: Solo Flight – The Seminal Electric Guitarist, described how Christian got his professional start in 1932, thanks to his older brother, Edward, who made a living playing piano in their home town of Oklahoma City. At first a guest performer, his playing impressed audiences such that within a couple years he was a regular member of Edward’s bands. It was there, lore says, he first placed a microphone between his knees so his solo could be heard through the house PA.
After moving from OKC to NYC in 1939, Christian became a member of the Benny Goodman Sextet and Orchestra. There, his single-string technique and use of amplification brought the instrument – which until then was a mere backing/rhythm-section tool – into the spotlight as a solo instrument. Stylistically, he is cited by many as influential for his ability to improvise with the fluidity of a saxophonist. In 1937, Christian acquired a Gibson ES-150, the company’s first Spanish guitar to employ the hexagon-shaped electromagnetic pickup borrowed from its EH lap-steel guitars. Using the 150 and an EH amplifier, Christian was one of the first “electric guitar” players, and both the 150 and, in tribute, its pickup have taken on his name. Christian rose to true prominence after joining Benny Goodman in 1939; some of his first gigs were at the Hollywood Bowl, Carnegie Hall, and the Waldorf Astoria. In early 1940, Chrisitan was diagnosed with tuberculosis scars on his lungs. His lifestyle, of course, created challenges to his health, and in mid July, he fell ill. While in recovery, he contracted pneumonia. On March 3, 1942, he died at the age of 25. Christian defined the way the electric guitar was played. His solo lines and technique have been widely copied – not just by jazz guitarists, but by the likes of Jimi Hendrix and other rock musicians – and are acknowledged as the bridge between many styles. In 1990, he was inducted to the Rock and Roll Hall of Fame. Whether laying rock’s most-famous licks on a Strat (“La Grange”) or his legendary Les Paul Standard, Pearly Gates (“Tush”), or any number of tracks and guitars in the more than 40 years that is ZZ Top history, Billy Gibbons has always been a guitarist who purveys utmost style. Whether in his Muddy-Waters-influenced playing, his employ of the gaudiest guitars to ever hit a stage, his century-old African-tribesman headwear, the Mexican peso he uses as a plectrum, stints as a guest chef, his collection of hot rods, or his work as a design consultant, nothing about “the Reverend” Billy F (that’s for Frederick, by the way, and um, no period, please!) Gibbons is mundane. Son of a concert-pianist/orchestral arranger father, on his 13th birthday, he was given a Gibson Melody Maker, a Fender Champ to plug into, and some fatherly advice: “Play what you want to hear…” His baby steps on the instrument were influenced by the R&B he heard coming from the radios of his family’s housekeeping staff, and it wasn’t long before he was copping Jimmy Reed licks and filtering various Delta- and Texas-blues influences that permeated his soul. Within a few years, he had formed a psychedelic-blues band called Moving Sidewalks that quickly became a teen-scene favorite in Houston. They recorded several singles (one of which stayed atop the local charts for six weeks), an album, and opened for some of era’s highest-profile acts, including Jimi Hendrix and The Doors. In ’69, Gibbons hooked up with drummer Frank Beard and bassist Dusty Hill for a jam that worked well enough to form a group they called ZZ Top, named after their favorite rolling papers. The band’s first recorded efforts were blues-/boogie-heavy affairs that rendered several true classic-rock staples like “Just Got Paid,” “La Grange,” “Tush,” “Tube Steak Boogie” and others. In the ’80s, they plied more-radio-friendly (but still bluesy) tunes and achieved superstar status with 1983’s Elminator and ’85’s Afterburner. In ’86, the group was the world’s top touring band, grossing more than $26 million in 134 concerts. That same year, the Texas House of Representatives named them Official Texas Heroes (along with Davy Crockett and Jim Bowie). The ’90s saw them return to a rootsier sound, enjoy million-selling status with 1994’s Antenna, witness the declaration of May 4, 1991, as “ZZ Top Day” in Texas, mix it up in collaborations with other artists (a trend that continues today) including Carlos Santana, get stars on the Hollywood Walk of Fame (’94), play halftime at the Super Bowl (’97), and, in 2004 they were inducted to the Rock and Roll Hall of Fame. In all, they’ve earned sales of four gold, three platinum, two multi-platinum, and one diamond album certification from the Recording Industry Association of America (RIAA). In 2011, Gibbons created the BFG Brand line of hot sauces, barbecue sauces, and other stuff… Hey, Rev, where’s our batch of Renegade Guacamole? By the mid 1950s, guitarists pondering the purchase of an electric instrument had only a handful of real choices. And of course, few in that position were looking to spend the kind of money required to get of one Gibson’s fancy goldtop Les Paul models. 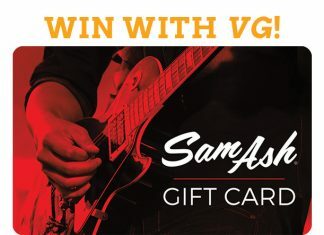 Too often, that meant Gibson lost a customer to Fender or a catalog retailer’s Silvertone or Danelectro lines. With that entry-level player squarely in its marketing sights, Gibson introduced the Les Paul Junior in 1954. 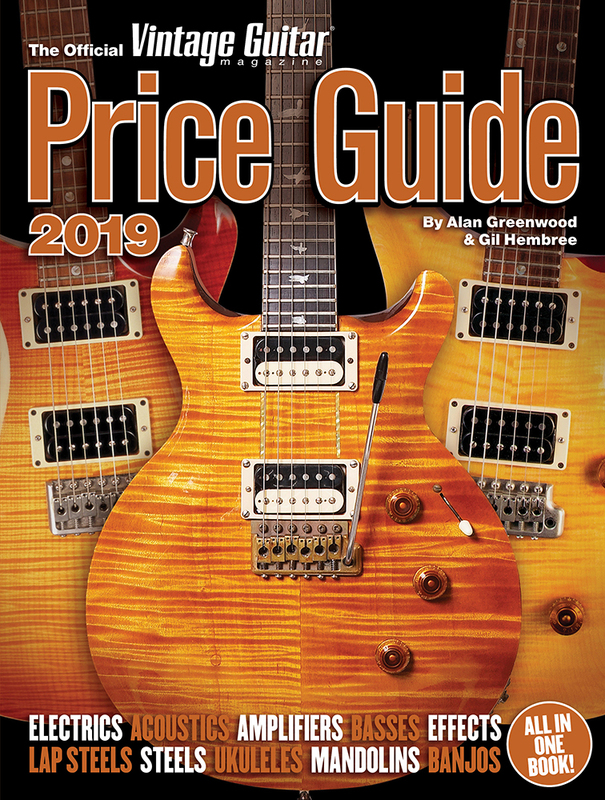 A bare-bones version of the Les Paul, the Junior fit the bill at $99.50 (versus the ’54 goldtop’s $225) with its single P-90 pickup, “slab” (sans fancy carve) mahogany body, unbound body/neck/headstock, and dot-inlaid fingerboard. Response was strong; by its second year, the Junior was Gibson’s best-selling instrument, and throughout its four-and-a-half-year run as a single-cut (and even into its double-cut era beginning in ’58), it never relinquished claim to that title. Through the ’60s and into the ’70s, the Junior – especially the early single-cut version – became very popular amongst top rock players like Leslie West, Steve Howe, Martin Barre, and Mick Ralphs, the P-90 providing great overdrive scream that could be dialed in with a just little help from a “dirty” amp – no stompbox required! Today, it has true cred in the collectible market and can be seen regularly in the hands of contemporary high-profile players, including Green Day front man Billie Joe Armstrong and pop-country superpicker Keith Urban. Just four years old when his mother began teaching him piano, Mike Matthews took to music early and never let go. A rebellious streak led him to discover rock and roll in the 11th grade, which in turn led him down life’s path. As a way to stay involved in music and support himself while still studying at Cornell University, Matthews worked as a concert promoter. His keen sense of the sounds happening in popular music led to development of his first pedal – the Linear Power Booster (LPB-1), the world’s first overdrive pedal – which led to a friendship with Jimi Hendrix, which led to Electro-Harmonix. 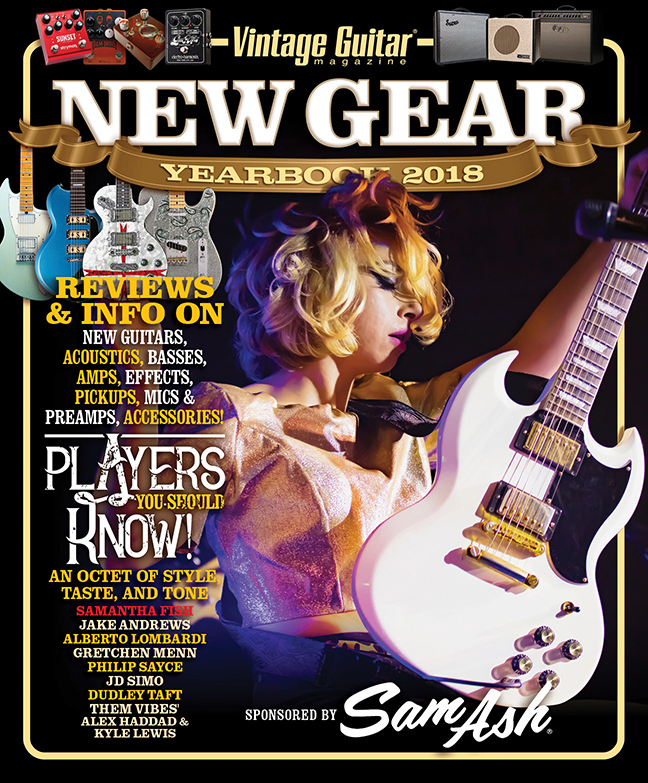 With Matthews constantly devising new devices, the company quickly established itself as the predominant effects builder, offering legendary boxes along with way such as the Holy Grail and Big Muff. Forty-some years later, Matthews is a very active member of his crew, always thinking about the next greatest effect/device to lend guitarists’ pallets. Though the early ’80s – an era when the guitar waned as a tool in pop music – were a challenge and E-H went bankrupt, another Matthews invention, the low-cost sampling chip – kept him afloat after he sold the technology to Japanese electronics manufacturer Akai, who used it in keyboards. He also took advantage of poor economic conditions in post-Cold-War countries of the former Soviet Union to buy a factory that made vacuum tubes. Where most saw a dying industry, he saw opportunity specifically in his market – guitarists – who of course, preferred tube-driven amps. At the same time, he recognized the possibilities offered in the burgeoning “vintage instrument” market; the pedals his company made in the ’70s were selling at many times their original price. Using connections in the Russian electronics-manufacturing industry, he once again began building E-H pedals. Once re-established, he moved some production back to the U.S. and ultimately, pedals once again became the company’s predominant interest. Today, Matthews remains very hands-on day to day, monitoring production and design, and the company occupies a 90,000-square-foot facility overlooking New York’s East River. In conjunction with the Hall of Fame, this year, VG began asking readers to vote for an Album of the Year. Any guitar-centric album that stood out for its performance and tones could be nominated, whether it was electric- or acoustic-based, and released between July 1, 2011, and June 30, 2012. Replete with majestic chord changes, slide work, the celebration of life and sobriety, and the reprise “Funk 50,” the disc contains some of Walsh’s finest writing and singing since his days in the James Gang. In the August ’12 issue of VG, Walsh described the disc as having “a little bit of everything” – protest songs, social statement, and songs with an underlying message. Above all, he said, the songs are relatable to fans of Joe Walsh music, especially “Wrecking Ball,” “Analog Man,” and “I’m Lucky That Way,” which he labeled an unintentional sequel to his 1978 hit “Life’s Been Good,” with a Nashville theme.